Construction continues at the new Stokes Pioneer Seed facility on the east side of Highway 14 in Petersburg. 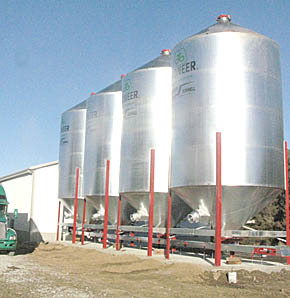 These four large seed tanks were added recently. Each tank will hold about 5,000 bushels of seed.